This hotel is located in the heart of the city next to the Sterling Hospital in L.K. Society, Memnagar, Ahmedabad. 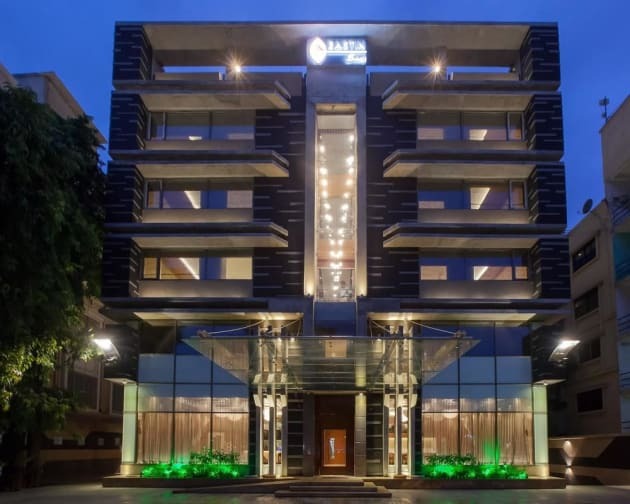 Guests will find Ahmedabad's business hub nearby and it is 7 km to the railway station and 12 km to Ahmedabad Airport.This air-conditioned hotel is located in the business city of India and comprises a total of 80 rooms, suites and themed rooms. 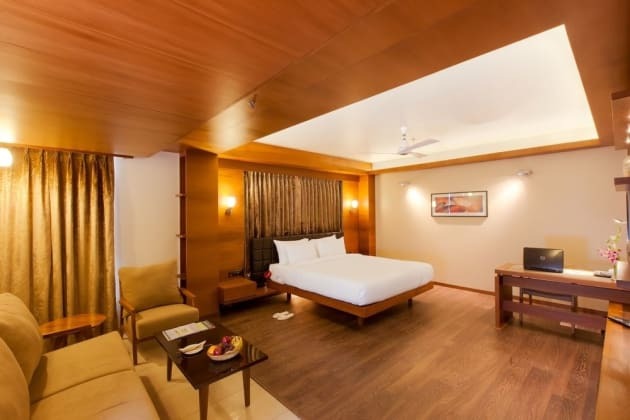 Guests stay amid world class architecture with luxurious interiors and crafted furniture. In addition to a lobby area with a 24-hour reception, facilities on offer to guests include a hotel safe, currency exchange facilities and a newspaper stand. Guests can enjoy a drink at the cafe and dine at the multi-cuisine restaurant. Conference facilities are available to business travellers and guests will appreciate the Internet access. They can also take advantage of the room and laundry services. The hotel is wheelchair-accessible and there is a car park for those arriving by car.The rooms feature contemporary design and modern furniture and interiors to meet present-day business and lifestyle needs. All rooms are spacious and promise a comfortable stay. All come with an en suite bathroom with a shower/bathtub and offer a double bed. They are equipped with a direct dial telephone, an LCD TV and Internet access. Furthermore, a well stocked minibar, tea and coffee making facilities, an ironing set and centrally regulated air conditioning are provided in all accommodation as standard.